Singer Lee Sang-soon, perhaps more known now for being diva Lee Hyo-ri’s husband, became the voice for MBC’s special current events program commemorating the fourth anniversary of the tragic sinking of the Sewol Ferry. 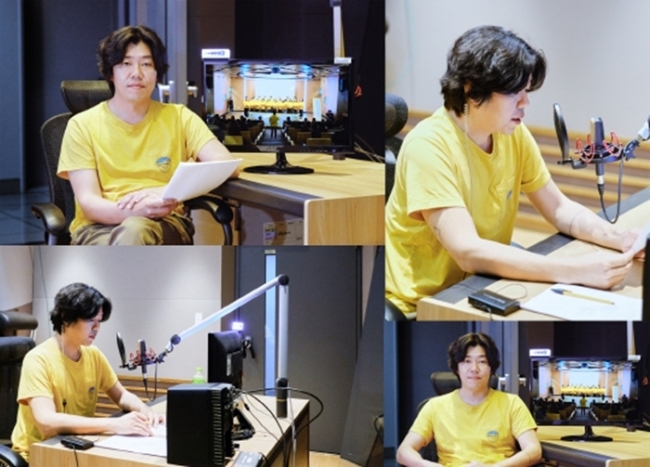 MBC said Monday that its feature series on the Sewol tragedy, of which the first part will air 11:10 p.m. on the day, will have Lee as the narrating voice. The first segment of MBC’s feature series will show the daily lives of the 416 choir, which members are comprised of the bereaved families of the Sewol tragedy and ordinary citizens who share their grievance. The 416 choir’s aim is to raise awareness of the pain inflicted by the Sewol incident, one of the worst maritime disasters Korea has had, and the need for a probe in to the cause of the sinking. The choir also donates its talent anywhere where they believe music can bring hope.